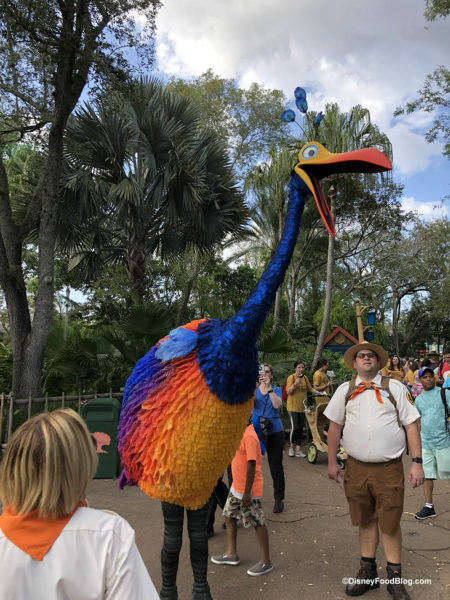 Kevin from UP is now in Animal Kingdom! You’ve Got to See This! 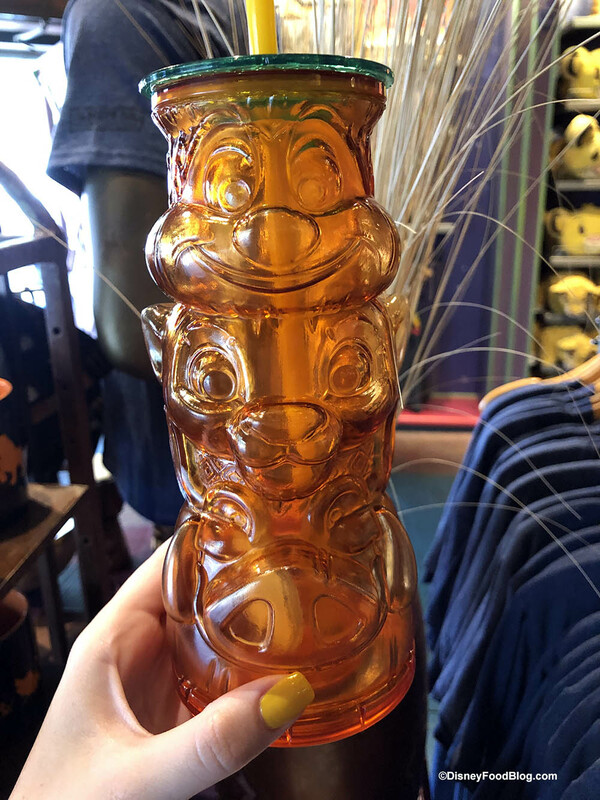 : Kevin from “Up” Lands in Animal Kingdom! She’s here and she’s amazing! 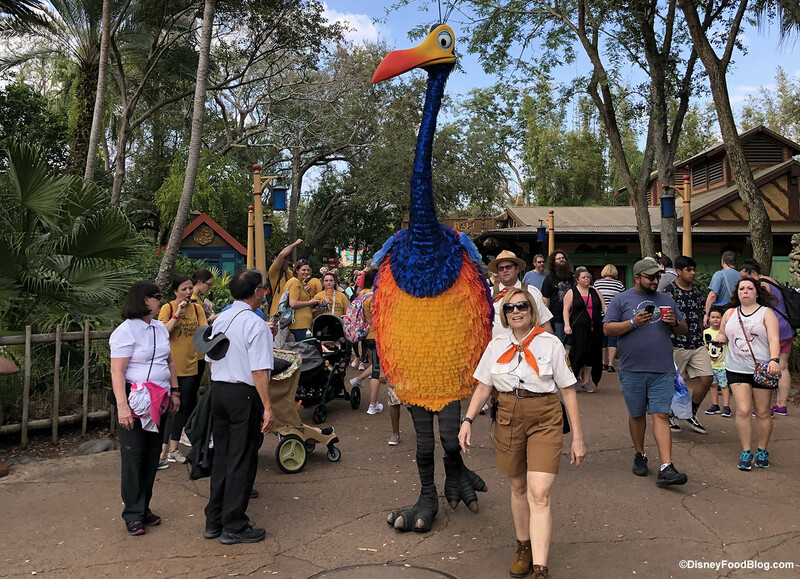 Kevin has landed in Animal Kingdom and she’s larger than life! 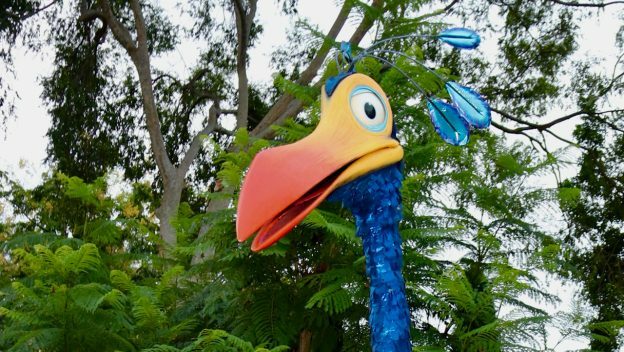 If you are wondering who, and what this giant bird is, she is from the Disney Pixar film Up. The stars of the film, Carl and Russell, befriend Kevin on their adventures in Paradise Falls. And the name, well initially Russell thinks Kevin is a boy, and names her Kevin, and the name stuck!